For the 2018 holiday season, we drew our inspiration from a warm and cozy home: the place that we call our own which provides us with solace and joy! A cozy home may conjure up images of curling up beside the fireplace as you knit warmth for your loved ones, enjoy a good book or perhaps a warm cup of tea. 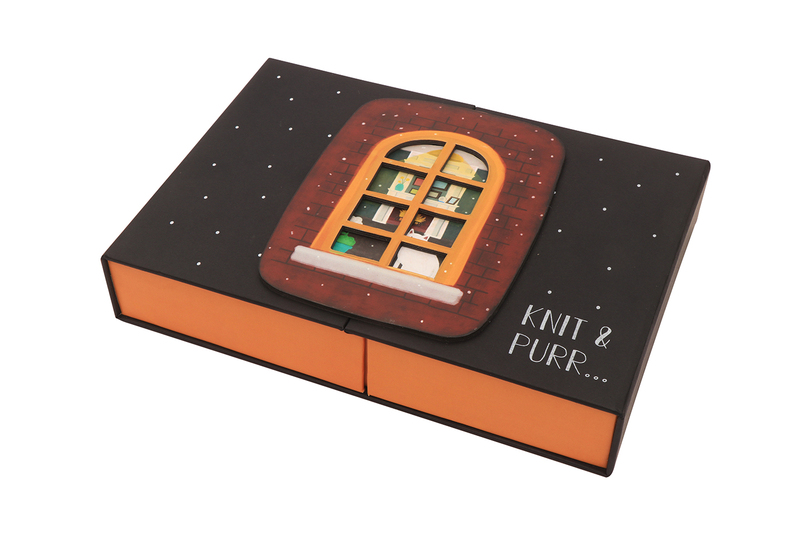 We couldn't resist putting a new spin on "Knit & Purl" with "Knit & Purr" to capture that wonderful warm feeling when your cat snuggles beside you, purring with a sense of contentment. 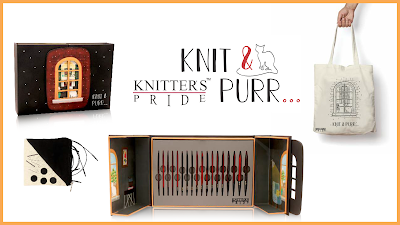 The Knit & Purr 2018 Holiday Gift Set is a result of the love and warmth of all of us at Knitter’s Pride - a warmth that passes onto our products and into what you create with them. 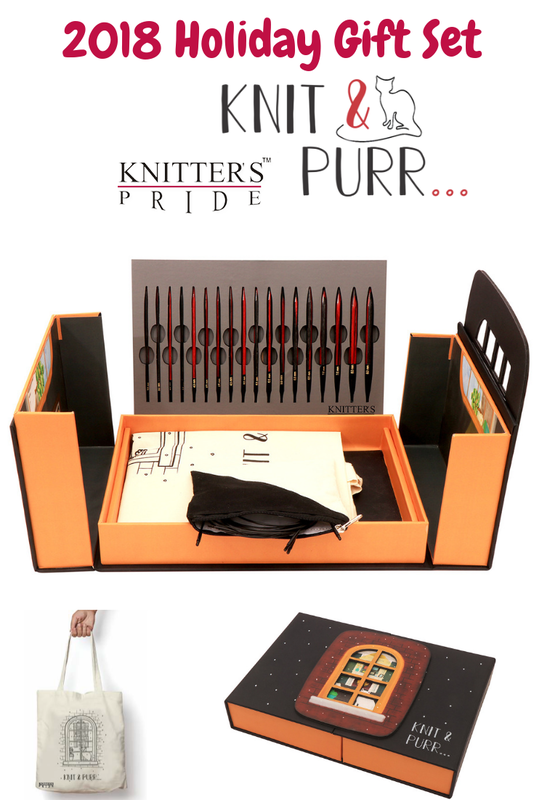 Knit & Purr carries a collection of millennium interchangeable knitting needles which are unique in every sense of the word: the needles are made from a combination of black & red laminated wood which has been interspersed together through a special process that creates a special random pattern. Through this very special process, each pattern emerges in the needle when the wood pieces are painstakingly brought together by hand. 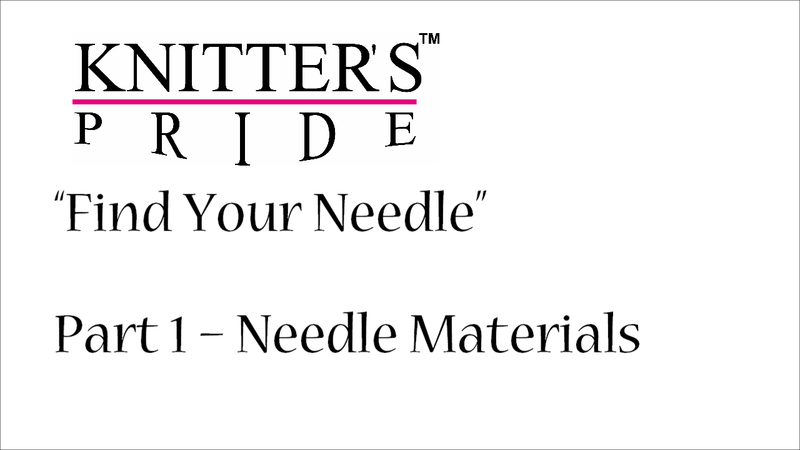 Each needle is a unique work of art, made with the utmost care and craftsmanship, just as every knitter leaves their unique mark on their creation! This limited edition gift set is available exclusively at your nearest Knitter's Pride Retailer this holiday season. Want to leave a not-so-subtle holiday hint for someone? Save this post to Pinterest using the graphic below! We’re delighted to add some exciting new tools to our lineup, including our portable wooden Nostepinnes, available in your choice of two beautiful finishes. 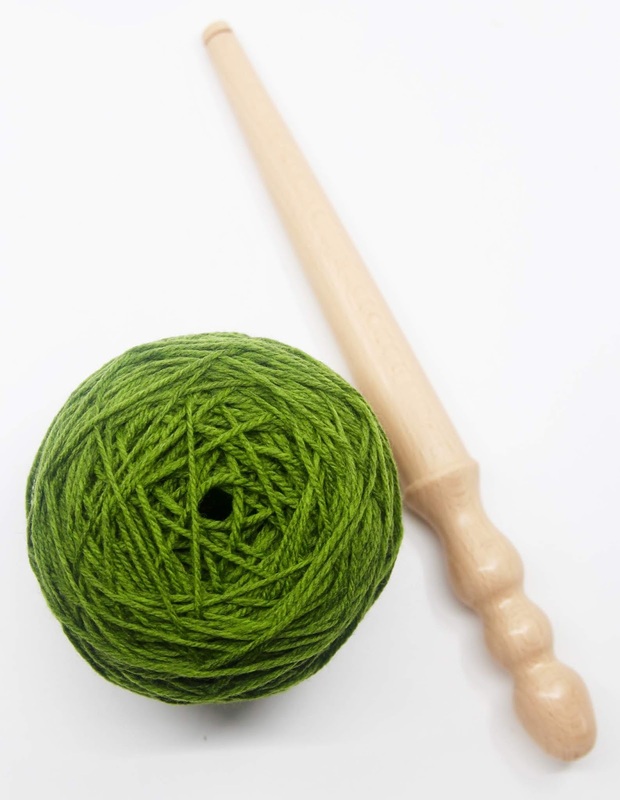 Nostepinne is a Scandanvian word that translates to “nest-stick,” and the nostepinne is one of the original ways to wind a ball of yarn. Today we’ll share a few tips and tricks on how to wind yarn using this handheld tool - and keep reading to find out how you can win one of your own! The nostepinne is most useful for winding yarn that comes in hanks or skeins into beautiful yarn cakes that are easy to work with. You can also re-wind yarn that comes in balls if you wish. 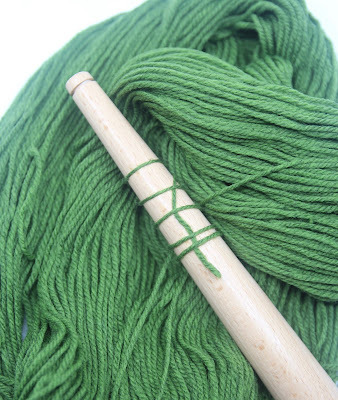 The first step is to gather your nostepinne and your yarn. Open the skein or hank and place it on a yarn swift to prevent it from becoming tangled. In a pinch, you can also place your yarn around the back of a chair or settle yourself somewhere comfortable and place the yarn around your knees. (There’s also the ages old image of having a helpful husband, friend or child hold the yarn for you!) Whatever you choose, you just want to choose a method that will keep the skein from getting tangled and becoming hard to work with. 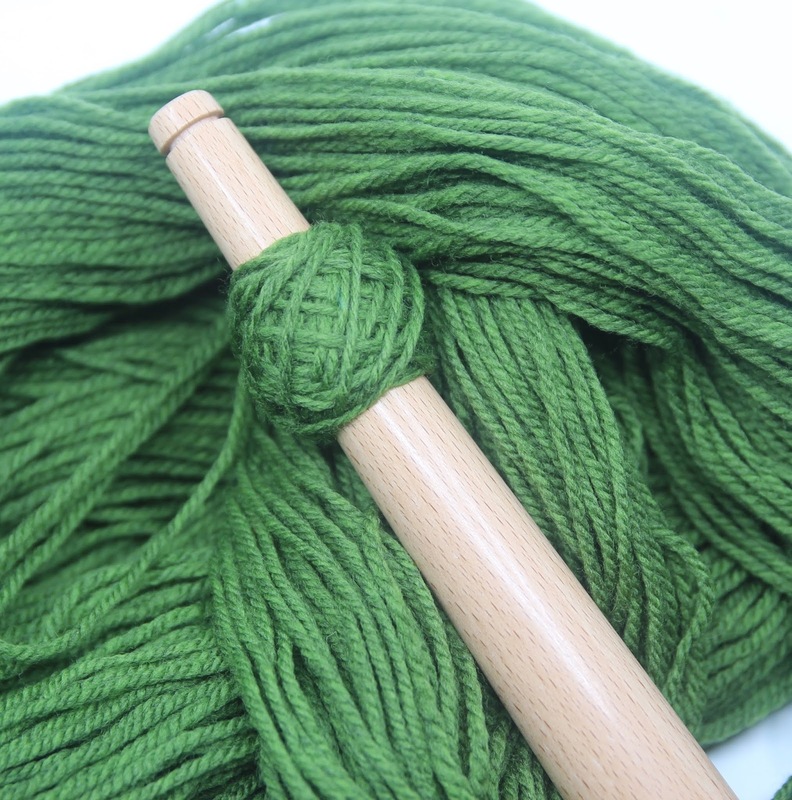 You can start winding the yarn onto the nostepinne in a few different ways. If you’re concerned about the beginning yarn slipping off, you can make a slipknot in the end of the yarn and attach that to the nostepinne. We just like to hold the end of the yarn parallel to the nostepinne. Then slowly wind the yarn around the nostepinne a few times, securing the slipknot or the end of the yarn under your yarn wraps. Next, you’ll continue to wind your yarn around the nostepinne, but now you will wind your yarn in a diagonal manner. That is, wind the yarn from the bottom left corner to the top right corner (or reverse if it is more comfortable for you). As you’re winding, slowly rotate the nostepinne at the same time so that your wraps build up evenly around the nostepinne (click here to watch a video tutorial showing how to do this). Then keep going in the same manner until you reach the end of the skein! As you near the end of your skein, wind the last few yards of yarn horizontally around the cake of yarn to secure the yarn from unwinding. You’re done! The nostepinne can also be useful for winding center pull balls. 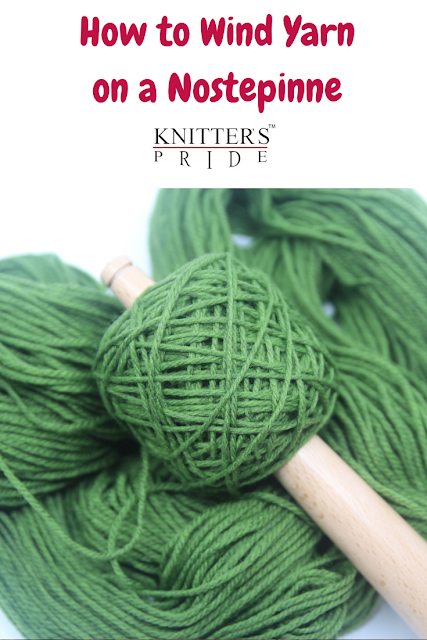 If you want to work with your yarn cake from the center, follow the instructions using the slipknot method, and place the slipknot around one of the subtle indentations in the handle of the nostepinne. 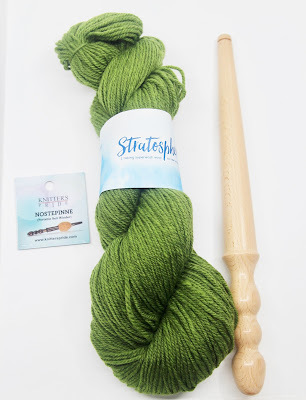 When you are done winding your skein, you can pull the yarn cake off the nostepinne and wind the last few yards of yarn around the outside of the cake. Loosen the slipknot to pull it off the nostepinne, undo it, and you’re ready to work from the center of your cake. Ready to give winding a try? Two lucky winners will win one of two nostepinnes - just click here to sign up for our newsletter to be entered in the drawing! Already a subscriber? Don’t worry, you’re automatically entered as long as you are an active subscriber on our list. We hope this tutorial has inspired you to wind some of your beautiful yarns by hand using the nostepinne - and if you liked this post, pin it!